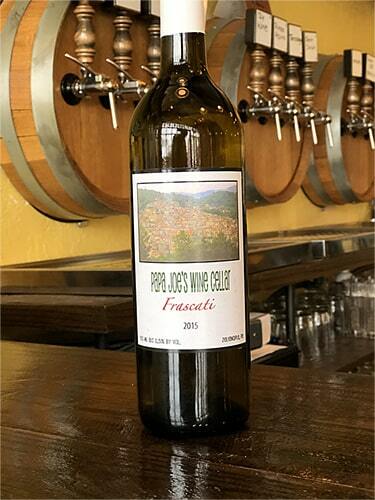 A dry white table wine made from a blend of primarily malvasia and trebbiano grapes imported as juice from Central Italy near Rome. Frascati has a citrus aspect from the malvasia grapes and some floral notes and acidity from the trebbiano grapes. It is a light bodied wine ideal chilled and is slightly bubbly. Alcohol content is 11.5%.